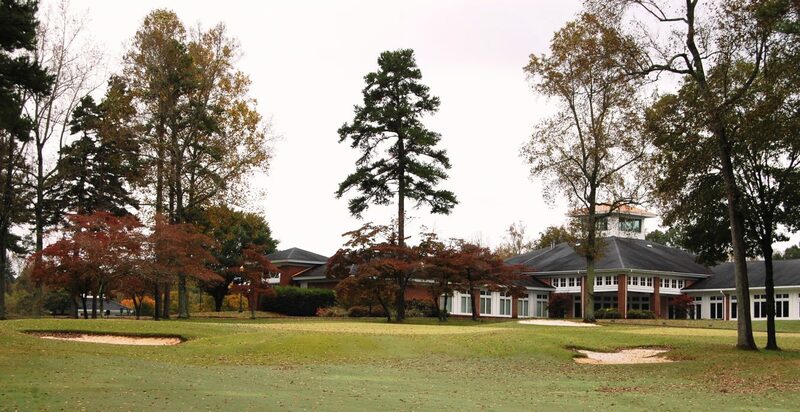 Sapona Ridge Country Club in Lexington has been sold for the second time in less than a month, this time purchased by a local group whose members plan to reopen the facility, including its golf course. Members of Sapona Ridge Acquisition LLC purchased the property Nov. 2 from Mark D. Moore, an aviation expert with the ride-sharing service, Uber. He had only bought the property in early October from NASCAR owner Richard Childress. The most-recent sale was for $1.59 million. Moore had purchased the 172-acre course for $1.2 million. According to members, Sapona Ridge Acquisition LLC was formed to facilitate the purchase of the country club from Moore. They said the LLC is made up of 75 individuals, including homeowners, former club members and community members who wanted to preserve Sapona Ridge for the community. Members of the LLC purchased member-interest shares at $10,000 per share, with the money going to buy back the country club. The most recent purchase was made in cash, according to Jason Barney, one of six member-managers of the LLC. There is no mortgage on the property. “The money would not have been raised if people didn’t really want the club back,” Barney said. He said shares are still available to interested parties. In addition to the 172 acres, the purchase includes the clubhouse and adjoining swimming pool, as well as all equipment and buildings. Barney said tentative plans are to reopen the course Nov. 15 as a semi-private facility. Memberships will be sold, but the course will also be open to the public. Barney said the facility will be operated much as it was prior to Childress’ purchase in 2012. From 1986 to 2012, the course was owned by Sapona Country Club Inc., and open to both members and the public. The facility had fallen into hard times prior to Childress’ purchase, with NewBridge Bank owning a note on the property and giving the club’s board of directors a deadline to find a buyer or face foreclosure. Prior to the recent purchases, the course was technically the property of Three R Holdings, which is owned by Childress, a NASCAR team owner and Davidson County resident. In published reports following the October sale, Moore said he closed the course for renovations, but hoped to reopen and, if not, to protect the land through a conservation easement. Barney said Moore was initially interested in selling the golf course back to the LLC, but wanted to keep the clubhouse for his personal residence or for conversion to use as a bed and breakfast. “We didn’t feel that was a viable option,” Barney said. Moore did not return calls from Triad Golf Today seeking comment. Barney said that in the month since Moore’s purchase, the course has continued to be maintained, with four groundskeepers working as if the facility was open. He said members of the LLC will be interviewing to hire a general manager and golf professional in the coming weeks. The course will also operate under a new name, Barney said, though that has yet to be decided.